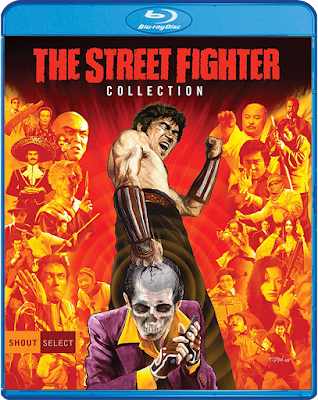 THE B-MOVIE NEWS VAULT: Shout Select's THE STREET FIGHTER COLLECTION is Now Available to Own on Blu-ray Disc! Shout Select's THE STREET FIGHTER COLLECTION is Now Available to Own on Blu-ray Disc! WATCH SONNY CHIBA DESTROY HIS OPPONENTS WITH HIS BARE FISTS IN GLORIOUS HIGH-DEFINITION! 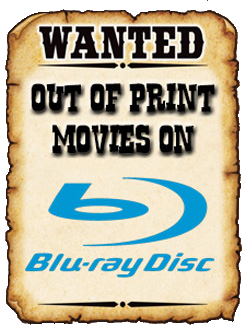 Back when DVD was just starting to catch on with consumers, I stumbled across a few double-feature discs featuring THE STREET FIGHTER, its sequels, and several other Sonny Chiba flicks (i.e. THE BODYGUARD and DRAGON PRINCESS). Needless to say, I was blown away by the ultra-violent world of mercenary Terry Tsurugi, one of cinema's greatest unsung anti-heroes! And now all three of the classic films are together in one set, with new 2K transfers and extras! I can't wait until this one arrives in the mail gang! Synopses: Meet the meanest and most lethal karate master ever to rule the streets. He's Sonny Chiba, one of the greatest martial arts actors to ignite the screen. In THE STREET FIGHTER, Chiba stars as Terry Tsurugi, a mercenary who has been hired by both the yakuza and the mafia to kidnap a wealthy heiress, but when he isn't paid, a violent clash will ensue. Chiba is back in RETURN OF THE STREET FIGHTER. This time Tsurugi is hired by the mob to kill two informants, but when he realizes one is an old friend, he refuses, and now he is the one being hunted. When Tsurugi is double crossed by the Ôwada clan, he takes off with something they want in THE STREET FIGHTER'S LAST REVENGE. Soon he is being chased by a group of deadly assassins. NEW! 2K Scan Of The Original Film Elements Of The Uncut Version (91 minutes)! Two English Dubs – The Theatrical Dub And The New Line Home Video Dub! NEW! Street Fighting Man – An Interview With Star Sonny Chiba! NEW! Cutting Moments – THE STREET FIGHTER Trailer – An Interview With Filmmaker Jack Sholder! NEW! 2K Scan Of The Original Film Elements Of The Uncut Version (83 minutes)! NEW! 2K Scan Of The Original Film Elements Of The U.S. Cut (80 Minutes)! NEW! 2K Scan Of The Original Film Elements Of The U.S. Cut With Standard Definition Inserts From The Original Japanese Cut (84 Minutes)!